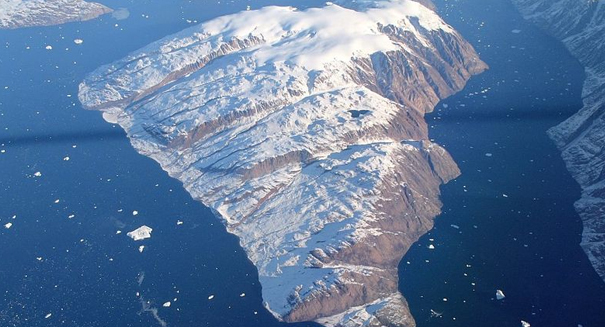 Greenland Glacier is Melting at an Alarming Rate, Study Shows. Warm ocean currents and warmer air temperatures are accelerating the rate of glacier melt, according to the research. One of Greenland’s gigantic glaciers is melting more rapidly than previously thought, causing scientists to project a major rise in the sea levels, according to a story from uci.edu. The glacier, known as Zachariae Isstrom, has broken loose from its mooring sill and is breaking apart, with ice chunks falling into the North Atlantic. Since the glacier began its accelerated retreat in 2012, it is dropping at a rate of 5 billion tons per year. The scientists say the base of the glacier is melting away due to warmer ocean currents mixing with melt water from the surface, but also because of warmer air temperatures, that are melting the ice from above. The researchers say this is causing the glacier to break into bits and pieces and retreat to deeper ground. Study senior author Eric Rignot, Chancellor’s Professor or Earth System Science at the University of California-Irvine (UCI), said the glacier is being hit from above and below. The research team used data from aerial surveys from NASA and satellite observations from multiple sources to make the analysis. The highly sensitive instruments were able to monitor and record precise differences in the shape and size of the glacier from space, and observations taken over a period of time led to the conclusions. Lead author Jeremie Mouginot, an associate project scientist in the Department of Earth System Science at UCI said the glaciers in North Greenland are changing rapidly and have changed dramatically over the last five years. He also adds the glacier is calving a high number of icebergs that will result in rising sea levels for years. The glacier, along with a neighboring glacier, named Nioghalvfjerdsfjorden, cover about 12 percent of the Greenland Ice Sheet, and if both glaciers should fully melt, the result would raise the current sea levels about 39 inches. The neighboring glacier is not melting quite as rapidly as Zachariae Isstrom, because it is somewhat protected by an inland hill. Ringor adds that not long ago, scientists were wondering about the effect of melting glaciers on the levels of the sea, but now they have been able to directly observe the changes, he call “staggering” and said they are now affecting the four corners of Greenland. The research team has published its findings in the current issue of Science.